Learn about the latest developments in photometric testing and evaluation, including new testing requirements for solid-state light sources and systems. 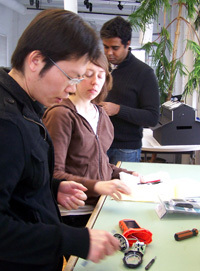 The next Photometry Institute will be held May 14-15, 2019 at the LRC in Troy, New York. Discount available for participants who live or work in New York State! 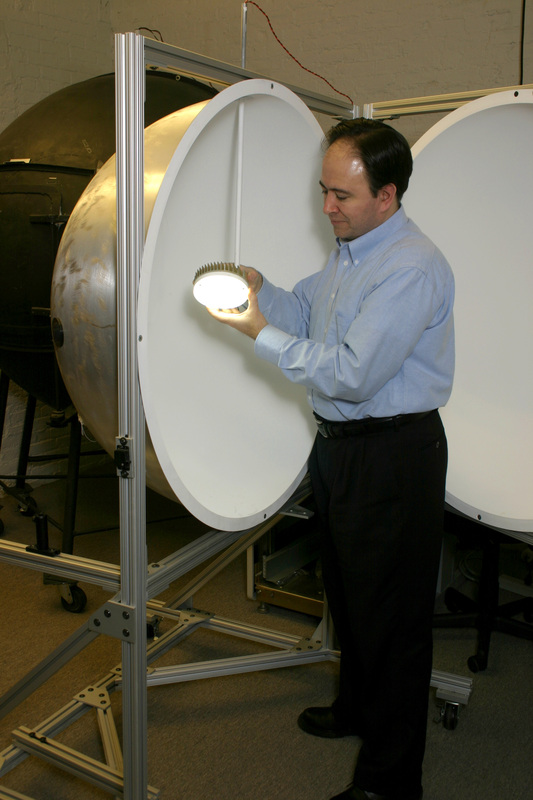 Engineers, technicians, and testing personnel from lighting and related companies interested in learning more about photometric, colorimetric, and related evaluation of lighting products and prototypes. Personnel from testing facilities who want to hone their skills and knowledge about testing requirements for solid-state as well as traditional light sources and lighting systems. Managers, engineers, product developers and designers from lighting and related companies interested in setting up photometric testing capabilities to benchmark and evaluate product prototypes in their own facilities. Anyone who wants to know more about the rapidly changing requirements for testing and evaluation of solid-state light sources and systems. Be able to interpret and apply photometric data in the evaluation of product prototypes and models. How is the Institute structured? Enroll now for the next Photometry Institute! If registering before May 1, 2019, the course fee is $1200. The fee for registration after May 1 is $1400. To reserve your place at the Photometry Institute, fill out the registration form and include a deposit of $600 (balance due by course date). The course fee includes continental breakfasts and buffet lunches as well as all course materials and manuals. The LRC will also supply all lighting materials and equipment to be used during the Institute. If you live or work in New York State(*), the course fee is only $360, thanks to support from NYSERDA! To reserve your place at our three-day LED Lighting Institute, fill out the registration form and include a deposit of $200 (balance due by event date). The course fee includes continental breakfasts and buffet lunches as well as all course materials and manuals. The LRC will also supply all lighting equipment. (*)Discount available to people living or working in one of the following utility territories: Central Hudson Gas and Electric Corporation; Consolidated Edison Company of NY, Inc.; New York State Electric and Gas Corporation; National Grid; Orange and Rockland Utilities, Inc.; Rochester Gas and Electric Corporation. Participants will earn 20 CEUs (continuing education units) for attending the Photometry Institute and will receive a continuing education certificate in photometry. Andrew Bierman, MS, LC — Professor Bierman is a senior research scientist at the LRC and an expert in photometry and radiometry. He is currently conducting research on the non-visual effects of light on health and circadian regulation. Other areas of research include mesopic vision (vision at low light levels), color vision, lighting controls, measurement of lighting efficiency, photosensor technology, and fluorescent lighting systems. Professor Bierman is one of our country's leading experts in photometric measurement and is the head of the LRC’s photometric laboratories. N. Narendran, PhD — Dr. Narendran is a professor and director of research at the LRC. He is well known throughout the lighting industry for his pioneering research and educational activities in the field of solid-state lighting. Dr. Narendran leads a team of researchers and educators in the area of solid-state lighting at the LRC, and conducts research and educational programs to accelerate the development and market transformation of this promising technology. Dr. Narendran teaches the Physics of Light course within the LRC’s graduate education program, which includes photometry and optics. In addition, he has developed and taught courses in optics, LEDs, and fiber optic lighting. Dr. Narendran has authored or co-authored more than 100 articles in archival journals and proceedings and holds several patents. He is a Fellow of the Illuminating Engineering Society of North America. Mark S. Rea, PhD — Dr. Rea is the director of the LRC and an expert in human vision, lighting engineering, human factors, photobiology, psychology, and light and health. He is the author of more than one-hundred scientific and technical articles related to vision, lighting engineering, and human factors and was the editor-in-chief of the 8th and 9th editions of the IESNA Lighting Handbook. His current research projects include the development of new metrics to improve the acceptance of energy-efficient lighting technologies, the study of the effects of light on circadian disruption, and research on reducing the market barriers to widespread use of energy-efficient lighting. Dr. Rea has conducted groundbreaking research in the areas of human visual performance, visual efficacy at nighttime light levels, and light and human health. His exceptional research expertise and experience along with his outstanding leadership and management capabilities are a great asset to this course.